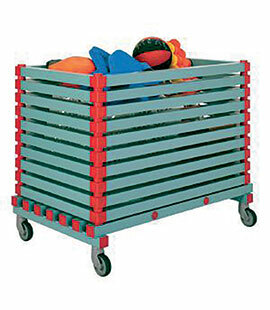 Plastic, lightweight, pleasant, easier to handle and treat than wooden or metal storages, there are not jagged or shredded potentially dangerous edges. 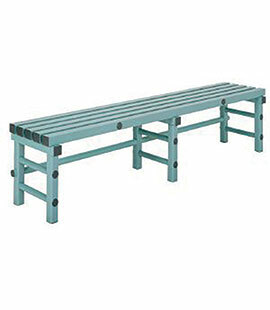 Non-porous surface, that does not rot, does not rust and actively prevents the diffusion of bacteria. Good chlorine resistance. 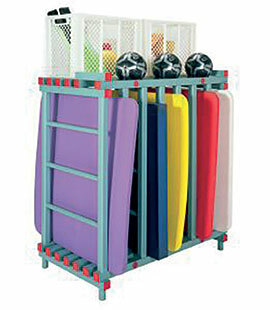 Available in 5 standard colours (cream, yellow, green, red or blue). 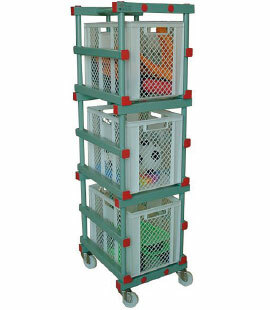 Of plastic, lightweight and easy to move. 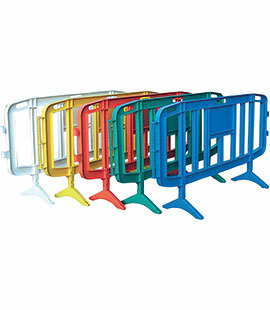 The plastic ensures a long life to these barriers as well as a problem-free use in an aggressive environment such as the seaside (sand, salt, wind etc. ..). 5 colors: yellow, red, green, blue and white. Weight 6,5 kg. 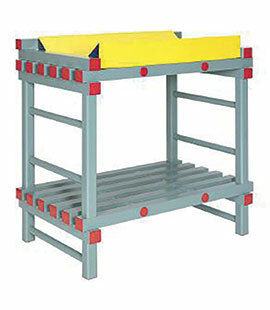 Dimensions: 138x60x100 cm (WxDxH). 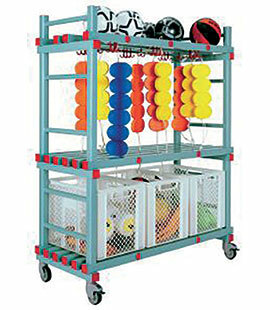 Top with 6 plastic hanging tubes. 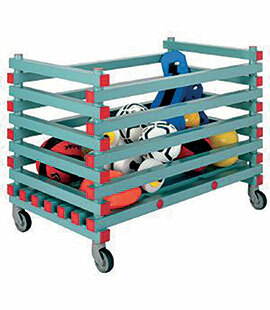 Dimensions: 138x60x145 cm (WxDxH). 2 levels, a space between levels is 55 cm. 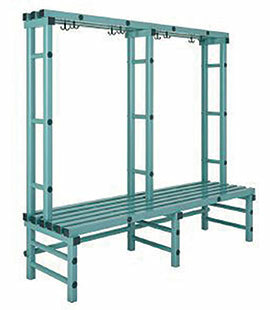 Dimensions: 138x60x175 cm (WxDxH). 3 levels, a space between levels is 55/70 cm. Dimensions: 130x70x137 cm (WxDxH). Equipped with 7 compartments of 12x110 cm. Dimensions: 100x40x45cm (WxDxH). 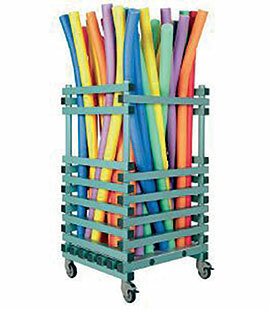 Equipped with 5 tubes for the comfort of the seat. Dimensions: 100x57x180 cm (WxDxH). 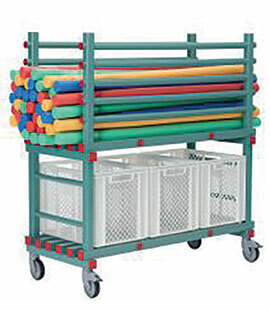 Equipped with 6 tubes for comfort seating. Dimensions: 66x54x178 cm (WxDxH). 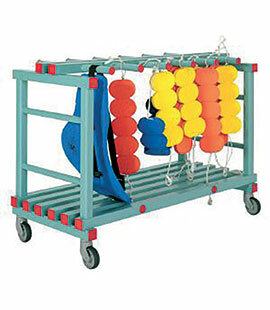 For quick storage of aquatic equipment. Dimensions: 120x70x93 cm (WxDxH). 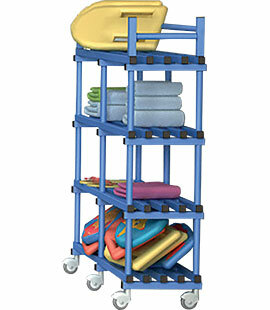 For quick storage of aquatic equipment.